Audio Study Zone - What do I get? 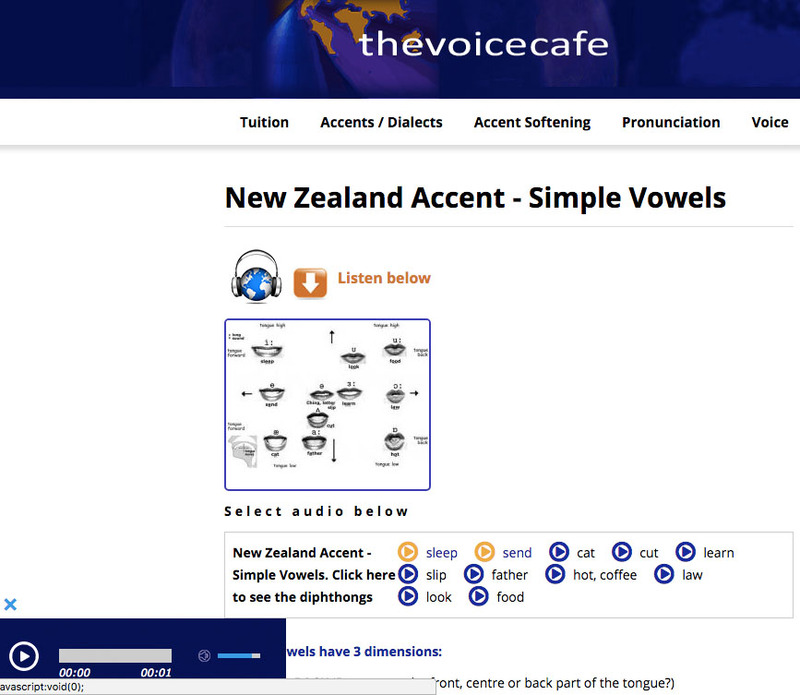 Study phonetic breakdowns and monologues in a choice of accents with audio recordings of native speakers from Britain, America, Australia, New Zealand and South Africa and more. 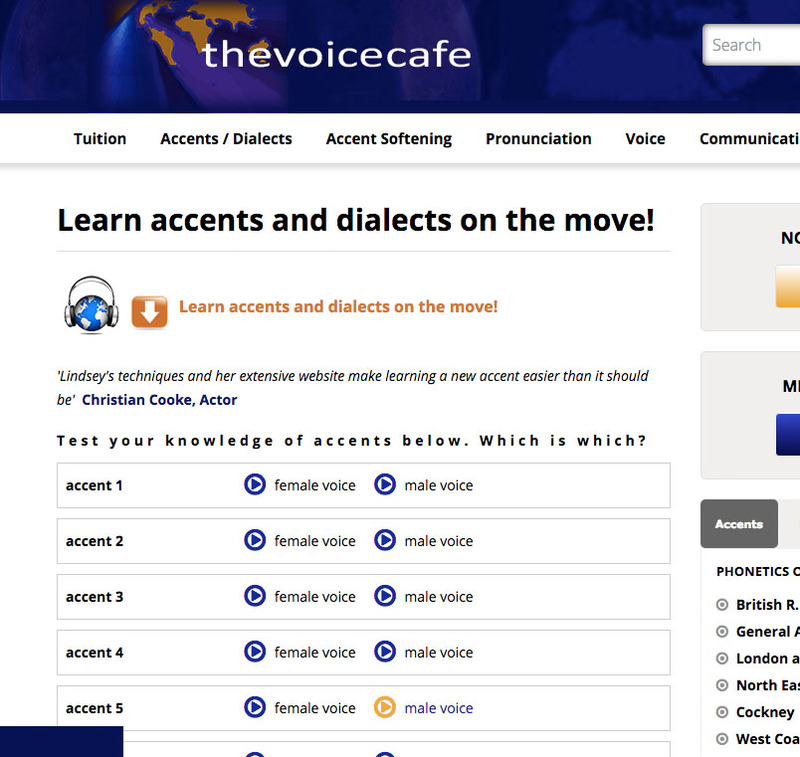 This section is designed for actors needing to study accents for short notice auditions, helpful for anyone wanting to practice pronunciation and speech rhythm and also for non-native English speakers who find it hard to understand the different English accents. 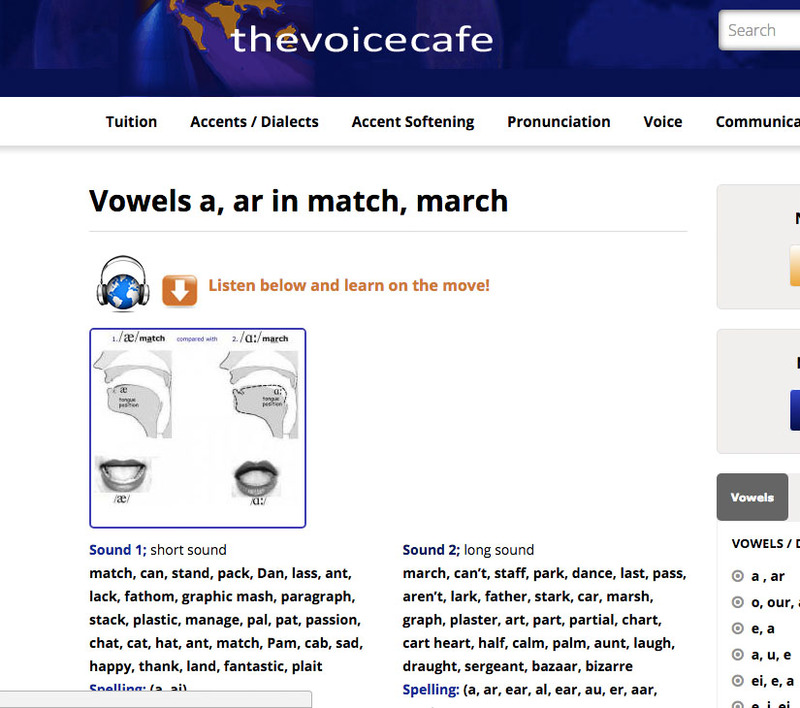 Study in more detail the phonetic sounds of English in up to 20 accents using audio recordings of native speakers. British English (standard R.P.) 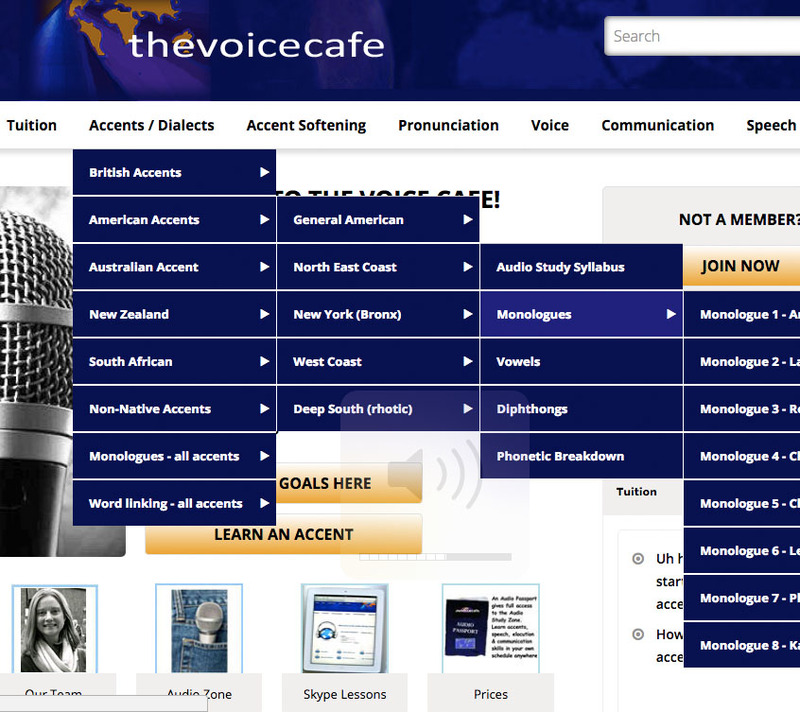 is used as a basic 'measuring point' but you can compare and listen in up to 20 accents from Britain, America, Australia, New Zealand and South Africa. 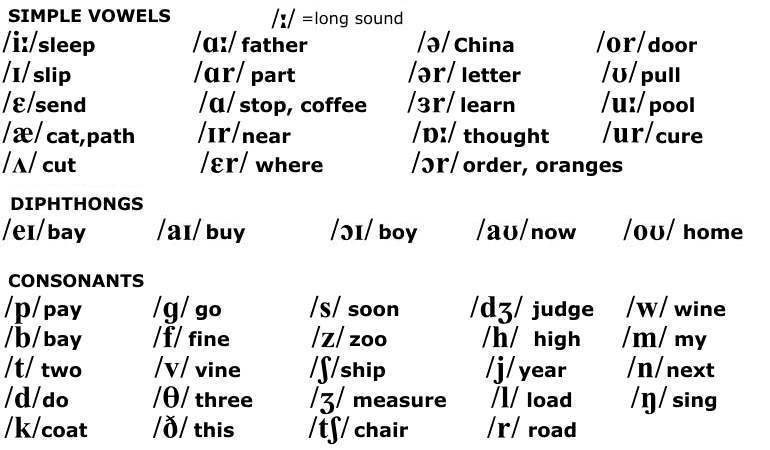 Listen to word groups and practice sentences which focus on the various vowel and consonant sounds and easily make comparisons between accents. Get tips and advice, plus a series of short audio voice classes designed to be used as warm-ups before particular events such as presentations and auditions. 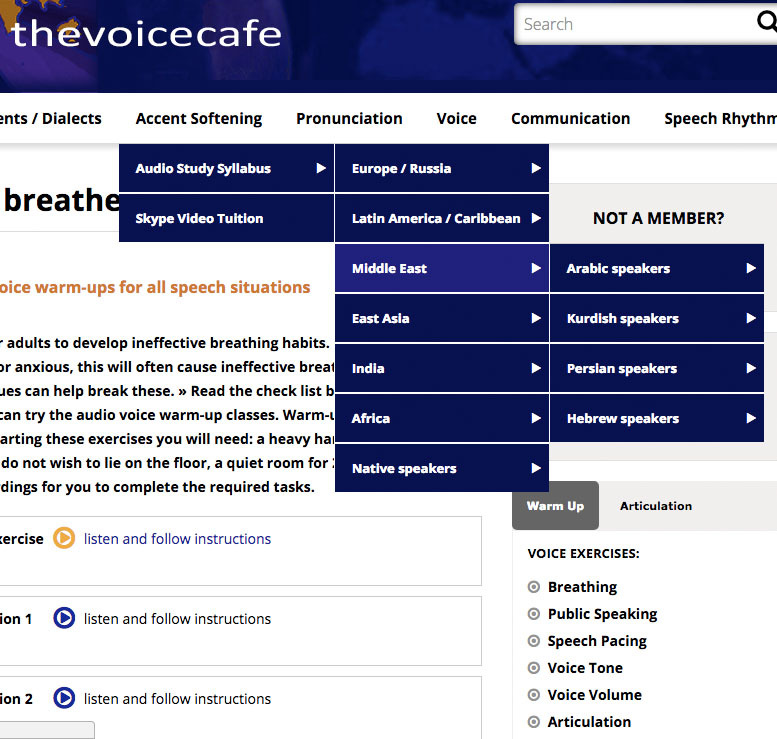 Get help with breathing techniques, fear of public speaking, voice projection, pacing, pausing, voice tone and volume, as well as use of body language while speaking. Get help with language for meetings, presenting, agreeing/disagreeing, clarifying/double checking, saying "no" politely etc, as well as an English grammar review with audio. This section is specifically designed for non-native speakers of English who wish to improve their spontaneous functional use of English structures and phrasing in their speech. 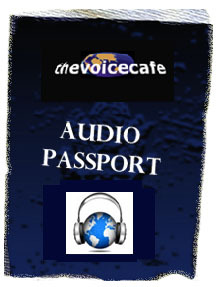 All audio is in standard British and American English. 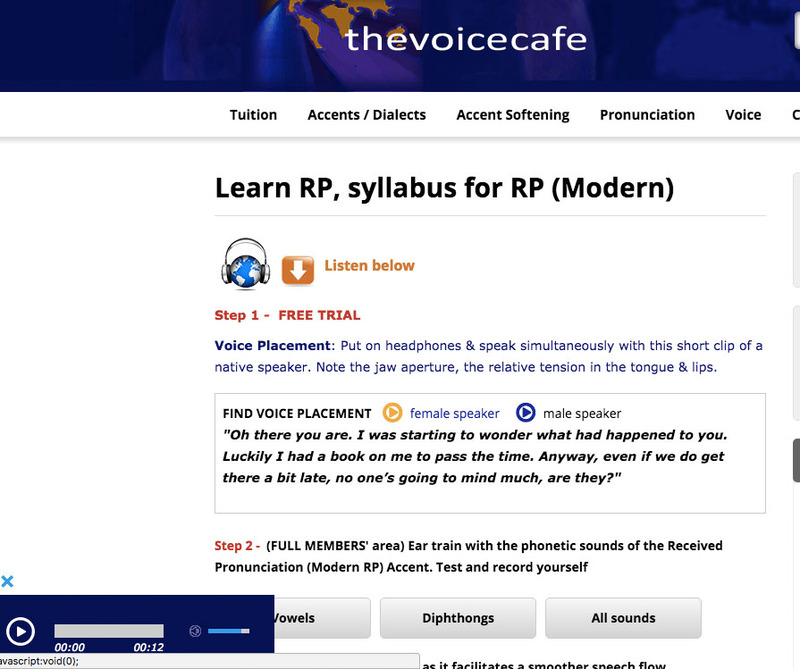 Practice with audio recordings to learn about the processes that give English speech its natural rhythm, study word and sentence stress, word linking and intonation. 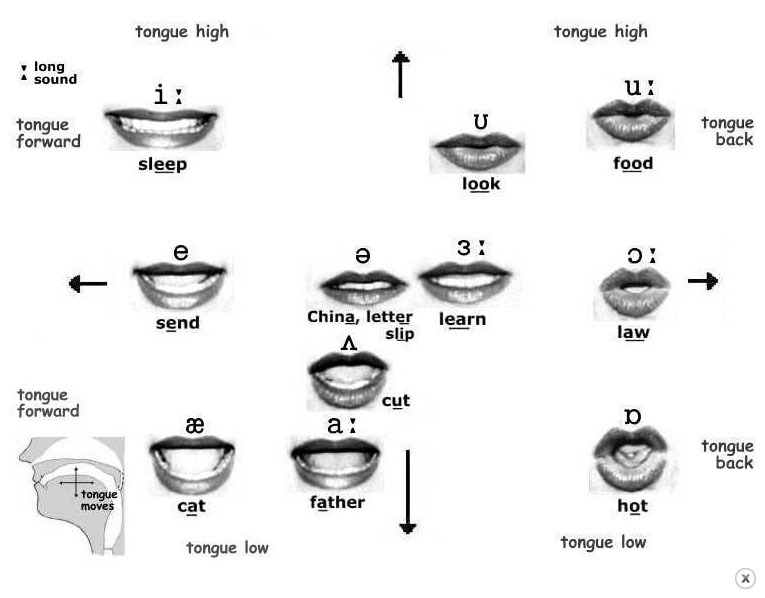 This section is especially helpful for non-native English speakers wishing to work on speech rhythm and incorporate into their speech the subtle processes that make English sound English. 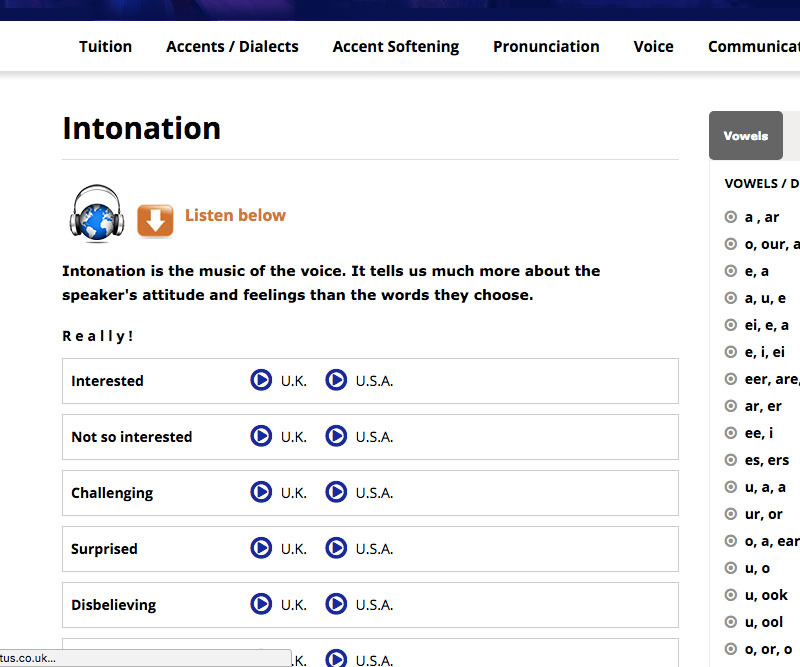 All audio is in standard British and American English.